Another article on airborne mould samples provides guidelines for interpreting numerical data of viable air samples. To see the guidelines for non-viable air samples click Guidelines for Interpreting Non-viable Air Samples. The guidelines may be used to decide whether further investigations are required after initial investigations. As was indicated in the last Issue, numerical laboratory results cannot be used as the primary determinant of whether there is a mould problem but should always be used to supplement visual inspection data and other available information such as the building history. Generally, indoor airborne mould concentrations are compared with those of outdoor. The presence of one or more species of mould indoors, but not outdoors, suggests presence of a growth source in the building. This comparison may not be possible during winter since outside concentrations may be below the detection limits as mould growth is slowed by the cold weather. The same principles of comparing outside with indoor can be used to compare the test rooms with the control rooms. These guidelines are mainly summarized from those developed by the German Federal Environmental Agency (Umweltbundesamt, 2002) and the Health Canada (Indoor Air Quality in Office Buildings: A Technical Guide, 1993). 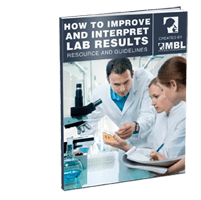 For a comprehensive assessment of the sample results, all the 3 steps require to be followed where applicable. Consider the concentration of Cladosporium and other genera which may reach high concentrations in the outside environment (sterile mycelia, yeasts, Alternaria, Botrytis). If the concentration (CFU/m3) of one genus in the indoor air is lower than 0.7 to 1.0 times the concentration in the outside air, i.e., Ic ≤ Oc x 0.7 (+0.3), then indoor source is unlikely (background level). If the concentration (CFU/m3) of one genus in the indoor air is lower than 1.5 ± 0.5 times the concentration in the outside air, i.e., Ic ≤ Oc x 1.5 (± 0,5), then indoor source is possible and further investigations are required. If the concentration (CFU/m3) of one genus in the indoor air is more than 2 times the concentration in the outside air, i.e., Ic > Oc x 2, then indoor source is probable and immediate further investigations are required. Consider the total concentrations for those species that are unlikely to occur in high concentrations in outside environment. If the difference in concentration between indoor air and outside air is lower than or equal to 150 CFU/m3, i.e., Ic – Oc ≤ 150, then indoor source is unlikely (background level). If the difference in concentration between indoor air and the outside air is greater than 150 CFU/m3 but lower than or equal to 500 CFU/m3, i.e., Ic – Oc > 150 ≤ 500, then indoor source is likely and further investigations are required. If the difference in concentration between indoor air and the outside air is more than 500 CFU/m3, i.e., Ic – Oc > 500, then indoor source is likely and immediate further investigations are required. Consider the concentration of one species that is unlikely to occur in the outside environment. If the difference in concentration between indoor air and the outside air is lower than or equal to 50 CFU/m3, i.e., Ic – Oc ≤ 50, then indoor source is unlikely (background level). If the difference in concentration between indoor air and the outside air is greater than 50 CFU/m3 but lower than or equal to 100 CFU/m3, i.e., Ic – Oc >50 ≤ 100, then indoor source is possible and further investigations are required. If the difference in concentration between indoor air and the outside is more than 100 CFU/m3, i.e., Ic – Oc > 100, then indoor source is likely and immediate further investigations are required. Health Canada, 1993 technical guide defines the “normal” indoor air mycoflora as that which is qualitatively similar and quantitatively lower than that of outside air. Based on a 3-year average, 40 CFU/m3 for Cladosporium, Alternaria, and non-sporulating basidiomycetes is considered as normal. Further investigation may be necessary if more than 50 CFU/m3 of only one species other than Cladosporium or Alternaria is present. Concentrations of up to 150 CFU/m3 are acceptable if there is a mixture of species reflective of the outside air spores. Higher counts may suggest dirty air filters or other problems. Concentrations of up to 500 CFU/m3 are also acceptable in summer if the species present are primarily Cladosporium or other tree and leaf fungi (phylloplane). Values higher than 500 CFU/m3 may be indicative of failure of the filters or contamination in the building. To get hands-on experience on the application of these guidelines register for our Mold online training program today! Health Canada. Indoor air quality in office buildings: a technical guide. A report of the Federal & Provincial Advisory Committee on Environmental and Occupational Health. 55 pp. (1993). Umweltbundesamt 2002. Leitfaden zur Vorbeugung, Untersuchung, Bewertung und Sanierung von Schimmelpilzwachstum in InnenrÃ¤umen. Erstellt durch die Innenraumlufthygienekommission des Umweltbundesamtes.